It may take just ten minutes of moderate exercise a week to dramatically slash your chances of dying. This is according to a new study published in the British Journal of Sports Medicine, which comes as good news for people who find the previously advised amount of 150 minutes a week daunting. The study tracked 88,000 Americans between the ages of 40 and 85 for an average of nine years and found that those who did between 10 and 60 minutes of activity a week were 18% less likely to die during the study period than those who did no exercise at all. 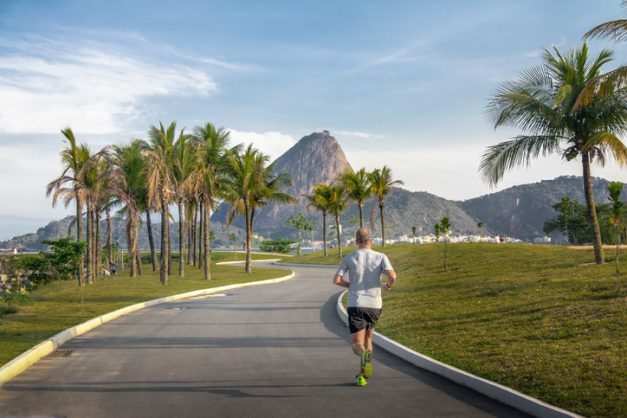 The researchers, who hail from the University of Texas and Shandong University in China, suggested health authorities around the world should reconsider their minimum exercise threshold. “Promoting physical activity of any intensity and amount is an important approach to reducing mortality risk in the general population,” they said in a statement. Previously published information from the World Health Organisation (WHO) and the European Journal of Public Health suggests that South Africa is one of the laziest countries in the world. Around half (47%) of all South African adults live sedentary lifestyles, which is more than double the global average of 23%, making it one of the most inactive countries in the world, below Colombia, Saudi Arabia, Kuwait, and Malaysia. According to the South African department of health, sedentary lifestyles have led to people in South Africa burning fewer kilojoules than what they consume. This has resulted in an “alarming health hazard” in the country. Research has shown that one in every four South Africans is obese and a full two-thirds of the population is overweight.